Name Games: Union St. Chez Maman Now Called "Gamine"
Cow Hollow: Since more than a few concerned folks have been asking recently about the slightly-undercover switcheroo that went down at the Union Street location of Chez Maman over the last month or so, we thought we should address the situation to assuage the worriers. 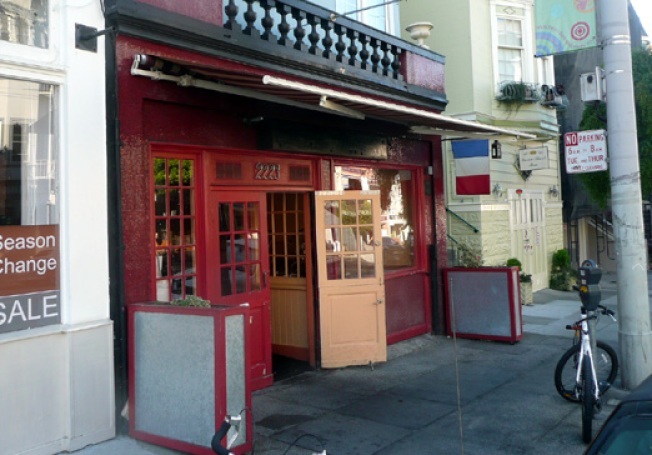 Yes, as you can tell by the late summer absence of any names on the menu or facade, it's no longer called Chez Maman or owned by the Maktub Group (Chez Papa, the original Potrero Maman et al.). That said, ownership was merely transferred to longtime manager Stephen Bouillez and no changes will reportedly take place, aside from the name, which is now Gamine. Please adjust your records accordingly.